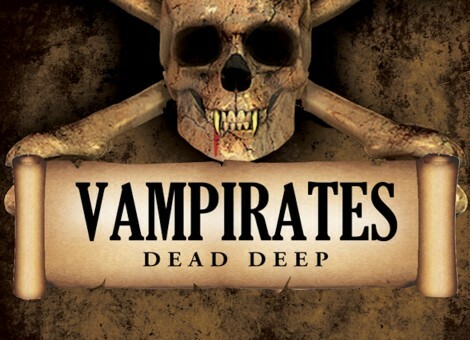 Here’s some great news for VAMPIRATES devotees ahead of Halloween – bonus VAMPIRATES book, DEAD DEEP is now available as an e-book in the UK (a US version will be available in the next few months – watch this space!). DEAD DEEP is available in Kindle and iPad formats and it’s only 99p from Amazon and iTunes! The title is currently featured in Amazon’s “100 Kindle Books for £2.99 or less“. when will it come to spain?!!! well, if it’s going to be very late send me one in english!!!!! it is this book the one in which they do something they forget? i loved reading the first 5 books and wanna know if deep dead is available in India if yes then where can i get it from?? Is Dead Deap going to be available in South Africa? If so …when? Can you translate it quicky and send it to Spain please? i can’t wait any more!!!!!!!!!!!! I can’t wait to read this book!!!! It sounds really good! But what about the book with the crossing stories?